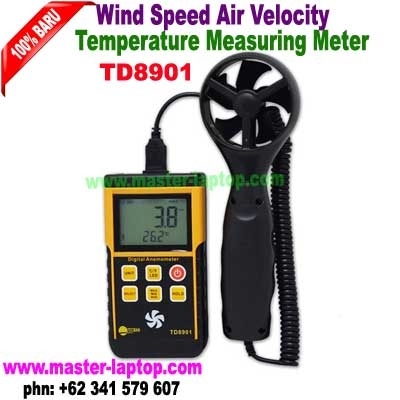 Professional digital anemometer for air velocity and air temperature measurement. Portable size, convenient to carry. Specially designed for air velocity and air temperature measurement. Digital LCD display with backlight, easy to read and ideal for night use. Press the "UNIT" button, the unit indicator will blink; press the "SELECT" button to change units; press the "UNIT" button again to confirm the unit you want. 5 optional units: m/s, ft/min, km/h, knots, mph. Display the max, min and average value. Power off automatically after 1 minute.